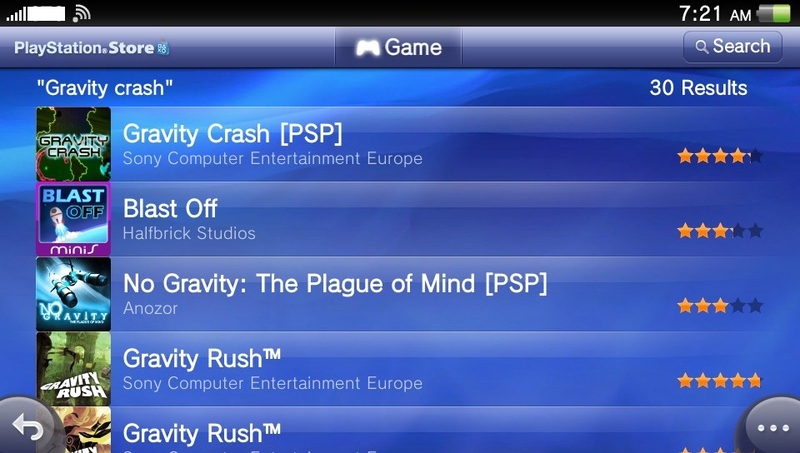 Despite conspiracy theorists who would love to see us not deliver, here’s, as promised, Teck4′s port of Total_Noob’s eCFW to a new game exploit for the game Gravity Crash Portable. As “expected”, the game Gravity Crash Portable was removed from all Sony PSN locales yesterday, following our announce 3 days ago of a vulnerability being discovered in that game, that would allow a malicious attacker to run Super Mario Bros on your Vita. Hopefully, people who missed the Monster Hunter AND Urbanix AND Mad blocker alpha exploits had enough luck this time to catch this 4th game in time before it got pulled. Teck4 ported TN’s CEF to the Gravity Crash game in JP, while Frostegater adapted this work to the EU and US versions. Total_Noob’s CEF is a tool running within the PSP Emulator of the Vita, which will allow you, among other things, to run most PSP homebrews (see a good selection of great homebrews and emulators here) and PSP plugins. Tools such as the Vita FTP will also simplify your file transfers, compared to the tedious official Content Manager Assistant.